Please consider this a perennial topic on member travels to Taiwan ... whether in the past, present or even future. So, please share your journey experience with us. I will sticky this topic for now. Re: Taiwan. Travel futures and logs! Yingge, Taiwan. The biggest tea/puerh sign I've ever seen so far. Taken with a phone at full zoom so quality is really bad. The sign is actually quite a way from where I was standing. I will be heading to Taiwan for my honeymoon at the end of March. Will be spending the first couple days at Sun Moon Lake, followed by a few days perhaps in Tai Chung(Not confirmed yet, might go Tai Dong or Tai Nan depending). And the last few days in Taipei. 1) Jiu Fen - i found a tea shop there that sells Da Yu Ling which is comparable to what Hojo sells but at a fraction of the price. 2) Lin's Ceramics - i'm planning to head to its' concept store in Taipei if i can find it. and IF there's a decent difference in price compared to Malaysia, i might pick up an item or two. if not, i'll just get it when i'm back home. So... for now what i'd like to know is if there's any tea merchants/shops anyone could recommend to me in Taipei and also Tai Chung? I will be looking for teapots, teawares and perhaps some taiwanese teas as well such as Jin Xuan Milk Oolong, and maybe anything interesting i taste along the way. I found this shop via FB called 石陶村 (Shi3 Tao2 Cun1) and they seem to sell really awesome pots, anyone dealt with them or reckon a visit woul be in order? am interested in checking out their Da Hong Pao Zhu Ni pots, which i know will cost me an arm and a leg....hehe. Nope, the shop i went to was Xu Ji Chun Qiu Cha Ye. it's smack inside that street in Jiufen lao jie with all kinds of shops awaiting tourists lol. Am doing a quick post here about my trip to Taiwan a few weeks ago. In Taichung, i got in touch with a guy who i found online who sells some very nice pots n stoneware. Went to his shop and bought a couple of zhu ni pots. also got the chance to see some very exquisite pieces, pots, stone tea trays made of mineral rocks native to taiwan. I visited JianGuo Flower/Artist/Jade market. saw alot of pots n some tea related stuff there, but not sure if there were any good buys there... i suspect there might be of fake/imitation teas and pot. However it's an extremely interesting spot to visit! Visted Wistaria Tea House which was not far from the Jian Guo Market... extremely relaxing place and perfect environment for tea, also very conducive for great conversations. here's a tip though, each pax must do a min spend of at least 1 tea. U can bring ur own pots and teas if u want. But if u brew ur own teas without spending on theirs, there will be a charge for the water...etc... sorta like corkage fees. but if u have already done ur min spend, then there won't be any extra charge. Also, i managed to visit Ying Ge.... and it is an extremely dangerous place... for ur credit card! lol. it's filled with teaware temptation from beginning to end! i bought myself a 2011 Year of the Rabbit Purion teapot by Lins Ceramics from one of the stores that carried their stuff. A Lins Ceramics specialty shop is there as well, but they sell the more current and mass market stuff. i also got myself a stone tea tray which i had to have shipped back home as it weighed 15kilos! It wasn't big though, probably 1 foot wide and half a foot long and 3 inches tall. Didn't explore all of Ying Ge and i ran out of ammo by the time i paid for the tea tray...lol... so yeah, go to Ying Ge at ur own peril. I'm spending about a month in Taiwan during Dec-Jan, and I'm looking for tea-related tips. Standard travel guides are quite limited regarding tea-tourism! I'm mainly interested in pu'er shopping, Yuchi hongcha and seeing tea places - tea farms and tea research centres would be awesome. My mandarin is quite limited. Does anybody know about visiting those research centres? I'd love to visit Yuchi station and get more info on Sun Moon Lake's tea production. Are those places open to public? Is there any point in visiting them without real skill in language? I appreciate all kinds of input. I'm off to Taipei next Tuesday. I think I'll leave my credit cards at the hotel before I head to Yingge. How was your trip? I am headed over there myself in a few days. I'm a newbie to TeaChat and getting serious about my tea. I will be in Kaohsiung in a few hours and will be in Taiwan for two weeks. I love green, white and oolong with green being my current favorite. I am leaving Japan and have a few really nice Gyokuros from Horaido and Ryuouen in Kyoto and Tsuen in Uji. A friend recommended Lung Ching, Gu Zhang Mao Jian, Ding Gu Fang, Mao Jian Wu Lu and Lu'An but I don't know if all or any are available in Taiwan. I think they're all green but he drinks oolongs sometimes as well. What should I focus on to steer clear of and gravitate to? If anyone would give me some much needed guidance on shops to go to, their favorite Taiwanese teas and what they love about them also I would appreciate it immensely! My girlfriend's moving to Taipei in August...I think I'm gonna be spending a lot of time over there! whew! just back from taiwan with some loots. on the whole quite an interesting set of experiences. kyarazen wrote: whew! just back from taiwan with some loots. on the whole quite an interesting set of experiences. How was your trip? Did you go on business or for vacation? Got any pictures of the haul? 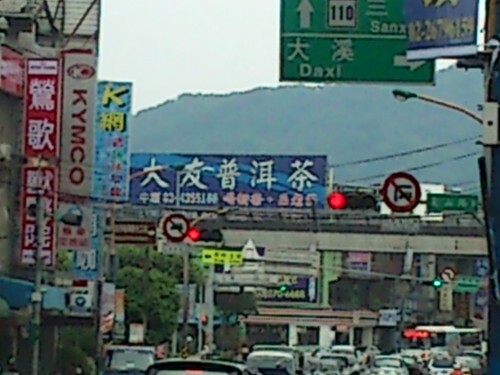 I am not familiar with Taiwan. What are the good place to go for buying teapot, ceramics and tea? Anyone knows?